I wasn’t going to see Noah to look for religious inaccuracies and become very picky about its epic portrayal of Noah’s Ark. I left my biblical checklist at home. I went into Noah wanting to see how a creative filmmaker like Darren Aronofsky could handle a big budget blockbuster, and wanting to observe how well his integrity would float in mainstream waters. 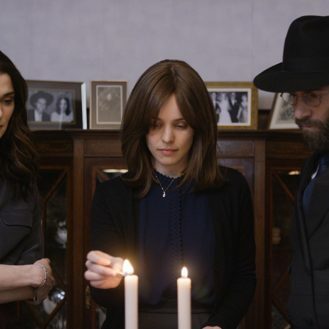 This would be a first for the Oscar-nominated director who has wowed audiences with independent features like Requiem for a Dream, Black Swan, and The Wrestler. I suppose we can count The Fountain as a studio-made blockbuster, but at least Noah appealed to a wide audience who was familiar with the material. The Fountain is a real lurid experience and almost anti-mainstream with its display. Noah is most definitely a step outside of the filmmaker’s comfort zone. Already, he enters the scene facing critical moviegoers who are either not religious or religious with very high expectations. I commend Aronofsky on this gutsy decision, even if it is one of his weaker films. 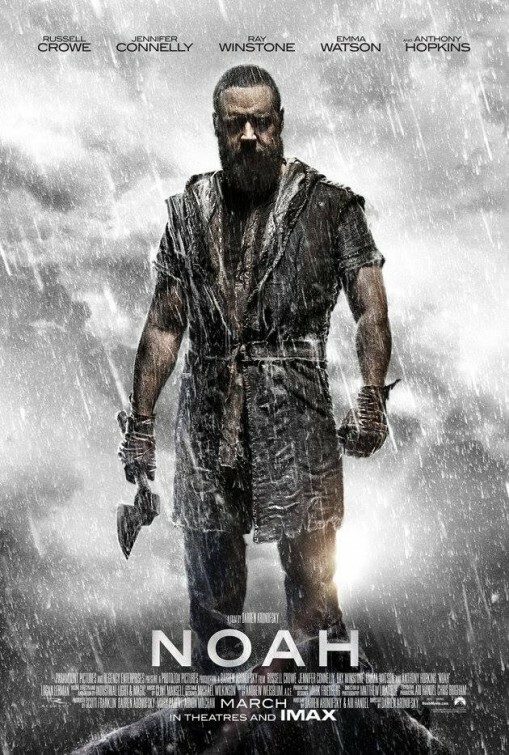 I’ll say this: Noah is a film that grows on you. By the end, I thought the film itself was solid stuff. The performances were great, the effects were well integrated, and the conflicts that arose made me squeak closer to the edge of my seat. It also plays very well on an IMAX screen. Noah doesn’t come across as a film that went through a lot of negotiations between its director and producers. This feels like the film that the studio and Aronofsky both wanted to make, which is a good sign. This means a fair bit of Noah is rushed. Time is often fast forwarded to plant the viewer in moments where important plot-related things happen. This is, sadly, a movie where the ark is built within a matter of seconds through a simple transition. Before then, the audience is introduced to Noah (played convincingly by Russell Crowe) who’s been reached out to and has been given a sullen message about an earthly cleansing. Soon, the visions become more of a reality as Noah discusses the dreams to his wife Naameh (played by Jennifer Connelly in a cool Requiem for a Dream reunion). Rock creatures called the Watchers assist the family with building the boat that will hold two of each animal. An ark that will lead to a universal reboot. The first act or so feels very weighty with its goal to capture that same gruelling mood Peter Jackson’s Lord of the Rings films did so well. The Watchers and the evil Tubal-cain (played by Ray Winstone) look as if they could exist in Middle Earth. Though not looking or feeling entirely innovative, these scenes in Noah are still easy to get wrapped up in. And, I couldn’t help but feel a certain classy Ray Harryhausen influence regarding the Watchers and their stop-motion-esque appearance. Aronofsky gives audiences truly haunting images and sequences. A visual of the ark bobbing up and down while screaming beggars cling to a nearby rock and smash against its edges is something that only seemed possible in early expressionism art. A big “well done” to the filmmaker for being able to recreate this. The rest of Noah faces the family with woes or survival while following “the plan”. Emma Watson is fantastic as Ila, a young woman who wants a child even though it would go against the Creator’s “plan”. Connelly is equally marvellous as the faithful wife who’s trying to make everyone happy, but is pushed to the limit when “the plan” is too strict. Noah is a draining movie filled with all sorts of vehement and sorrow. It doesn’t feel like the film goes overboard with expressive emotion, but these actors are certainly pushing themselves to new limits. But, Noah is also a respectable feature. The hasty pacing and the conventional first act serve as flaws, but all else seems fine to me. I would really like to know why this story was told in such a different way than the Bible story. There were no rocky transformers building the Ark, no Tubal Cain, no Methusala, all three of Noah’s sons had wives, and God was trying to end the corruption, not the human race. So, WHY did Noah leave his son’s young woman to be trampled? Why depict Noah wanting to kill twin grand-daughters? WHAT WAS THE POINT? The movie would have been just as good if it had been accurate.